Key Note is very useful for searching for companies to apply for. To find Key Note go to the Databases A-Z page on the subject guides and go to K.
4. click on one of the four options shown (Fundamentals, Financials, Geographic or Advisers). 5. Click “Search” on an option from left panel. 6. 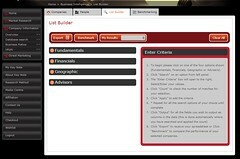 The “Enter Criteria” box will open to the right, Select/Enter your values. 7. Click “Count” to check the number of matches for your selection. 11. 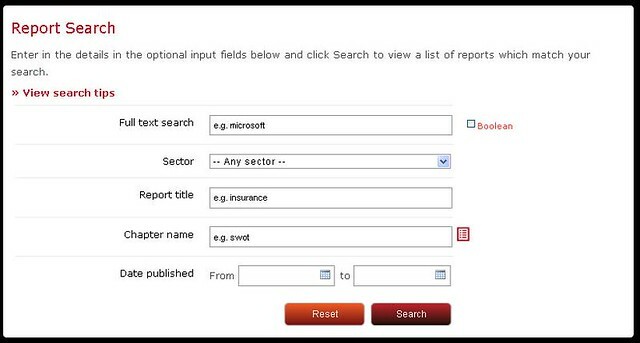 Click “Export” to receive your spreadsheet or Click “Benchmark” to compare the performance of your selected companies. Geographic – Trading office address click on the map for your regions (you can click postcode areas or select the whole region buy clicking Add entire region) to select more than one region click back in the top left hand side of the map. 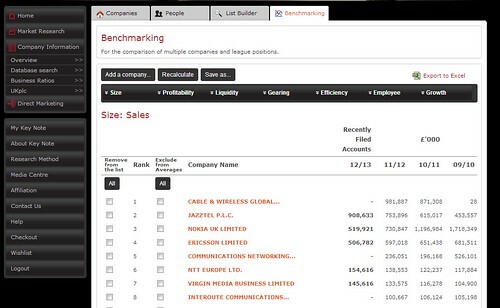 Select Benchmark to compare your list of companies with each other. Have you seen our great new resource? It’s called Key Note and it provides market reports and company information. Even if you don’t think this resource is relevant to your studies please read on because the information contained within it could help you in that all important job search. Keynote have a helpful guide to how to use the resource which we recommend people look at. Incorporate a fact or figure from researching a company or organisation when responding to, or asking a question at, a job interview.